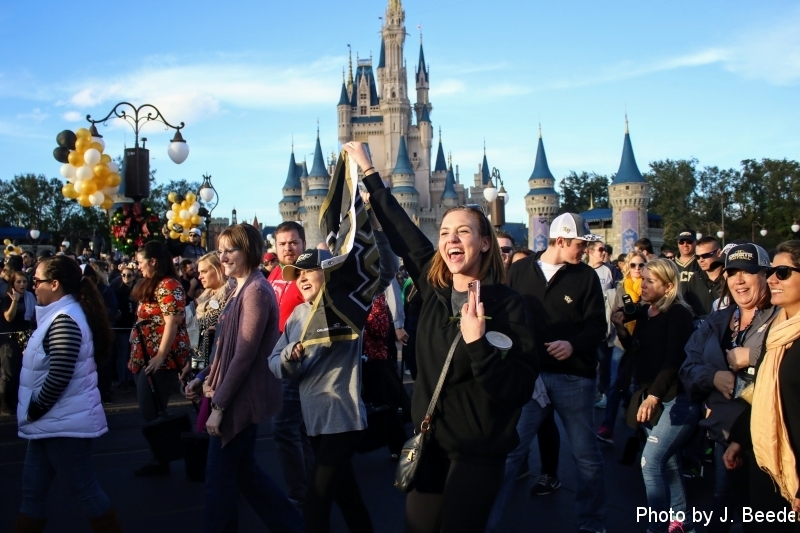 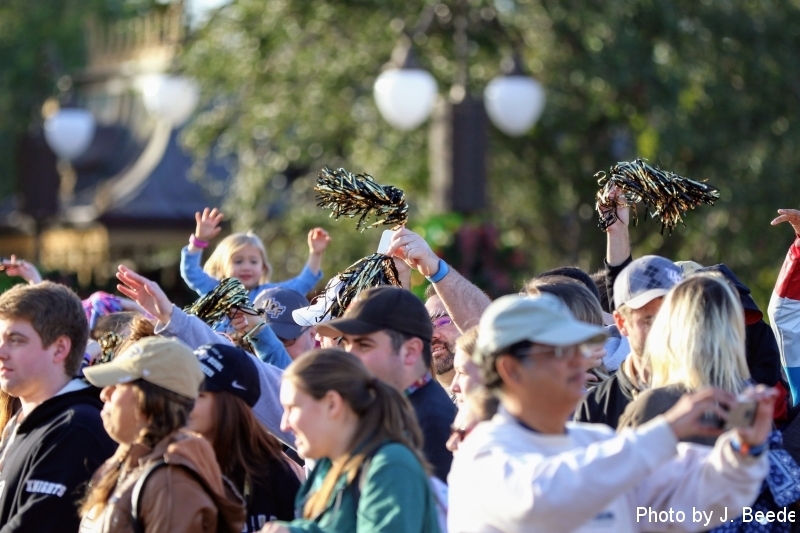 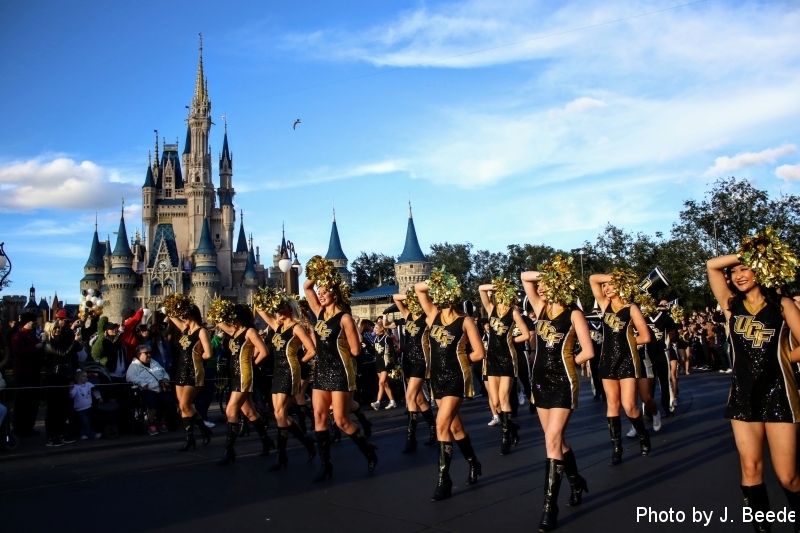 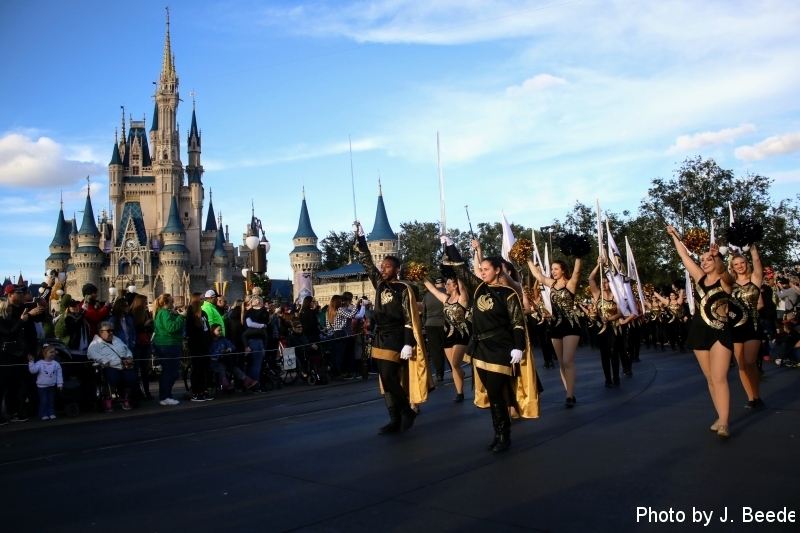 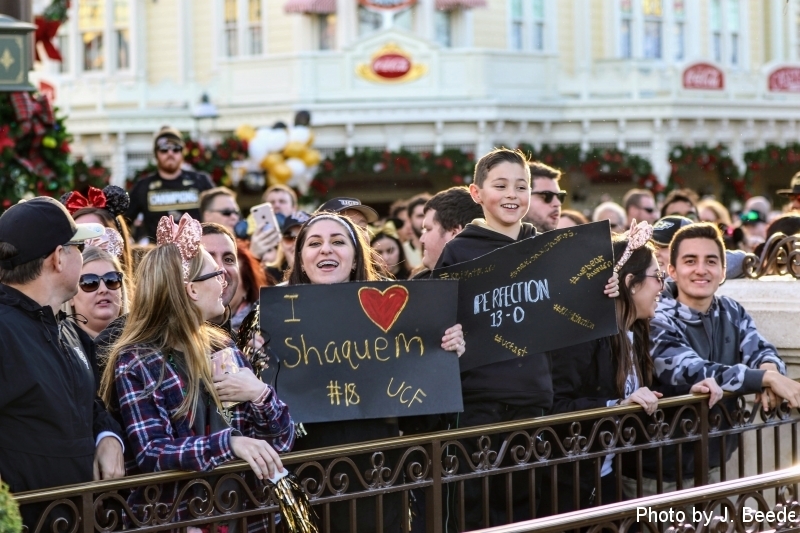 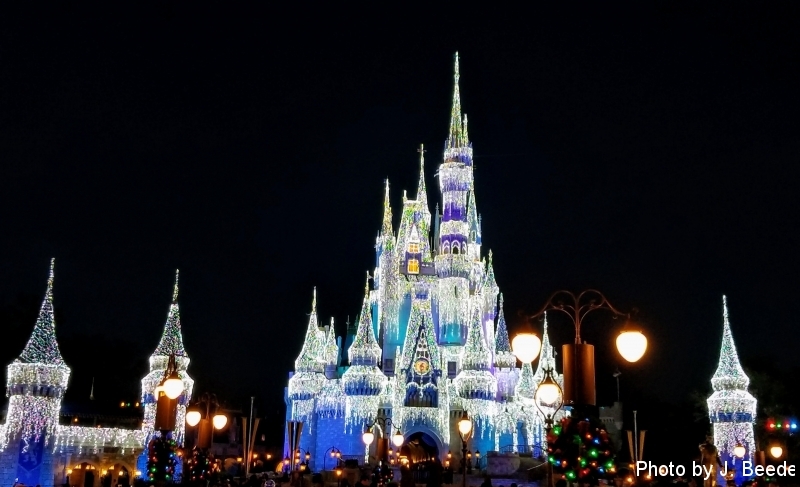 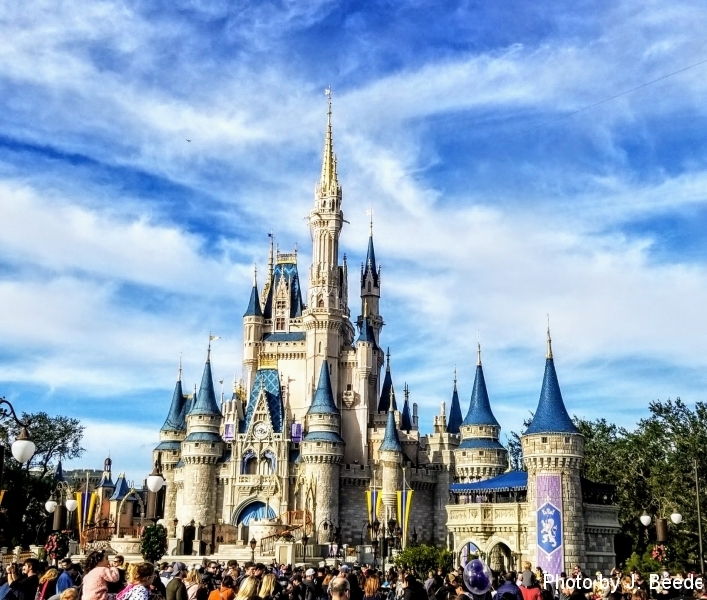 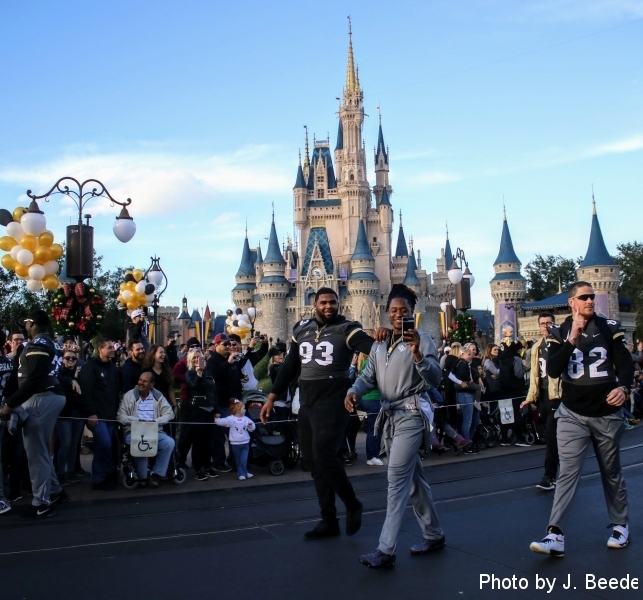 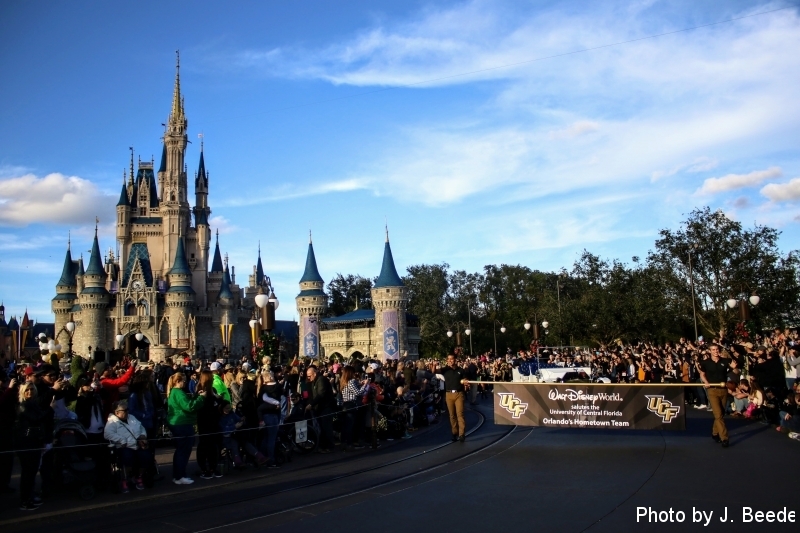 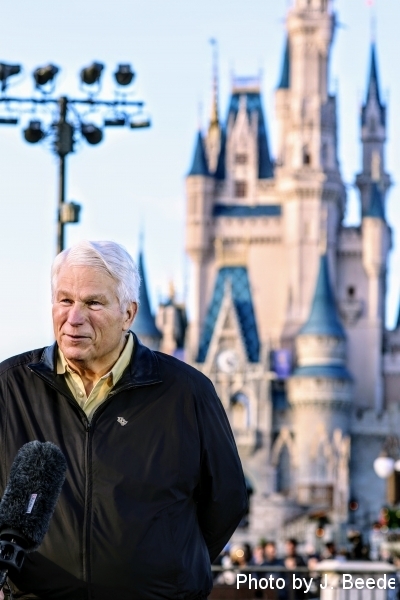 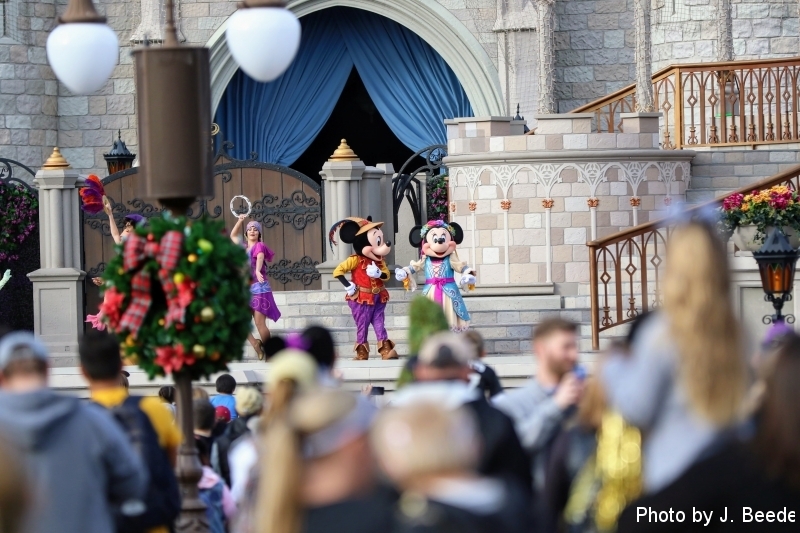 Nearly a week after winning the Chick-fil-A Peach Bowl over the Auburn Tigers in Atlanta, Georgia, the UCF Knights marched down Mainstreet USA at Disney’s Magic Kingdom celebrating their championship victory. 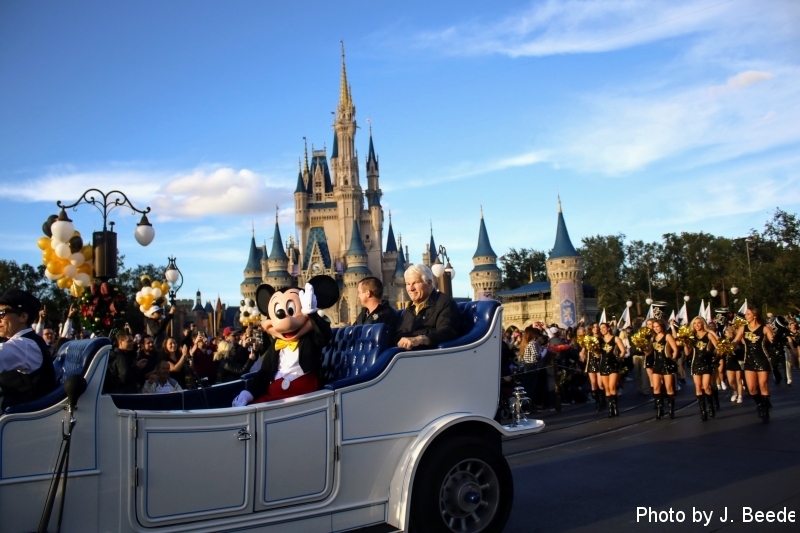 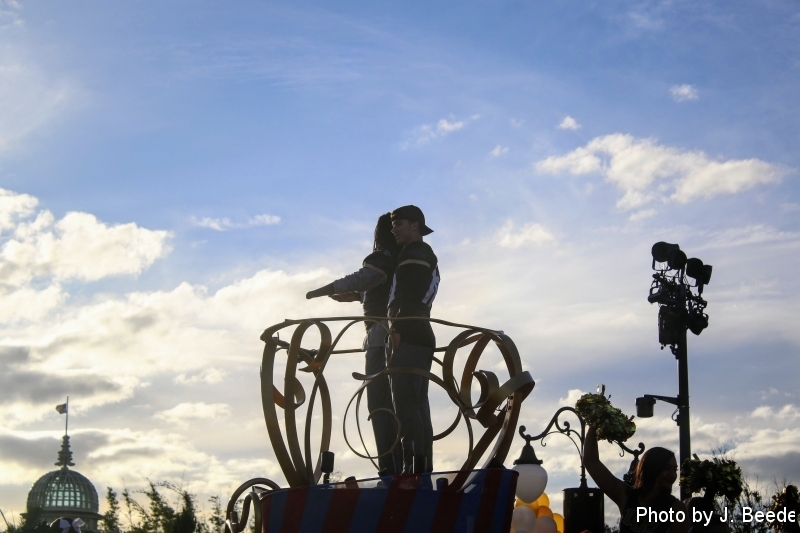 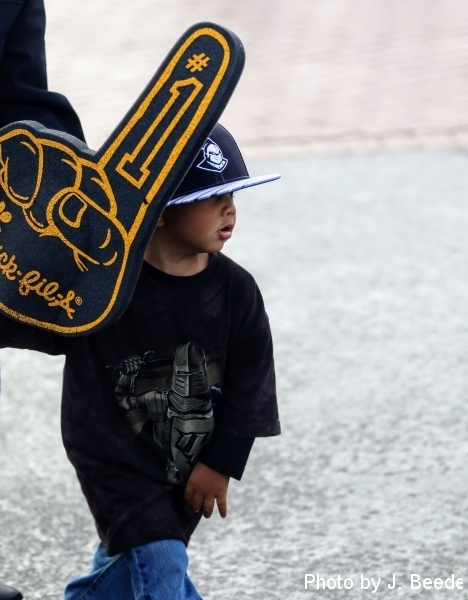 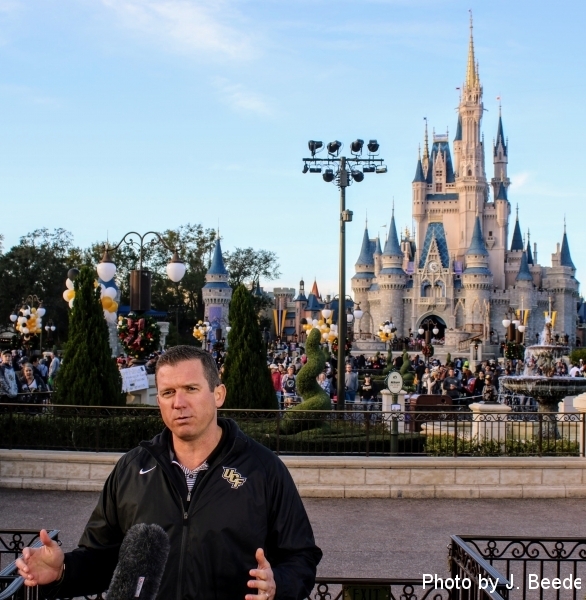 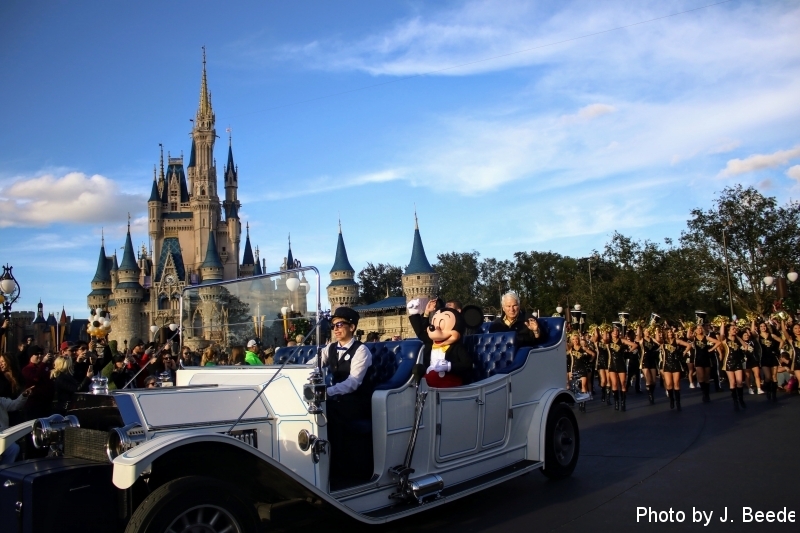 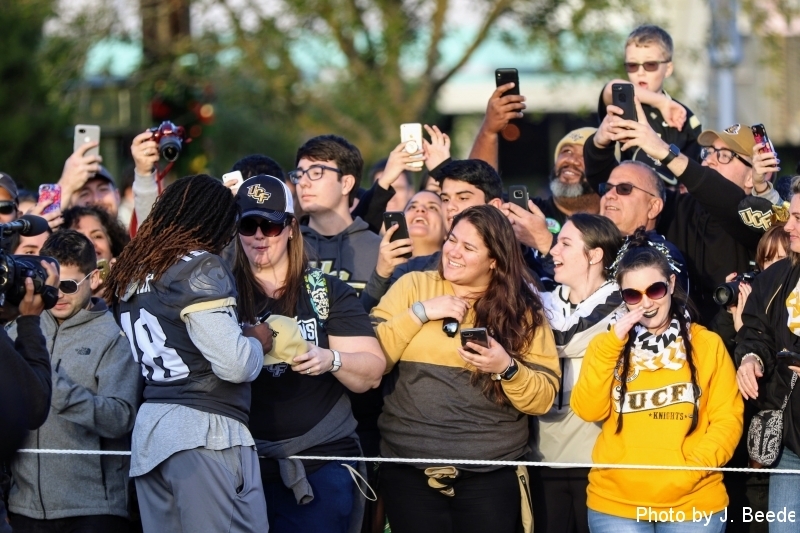 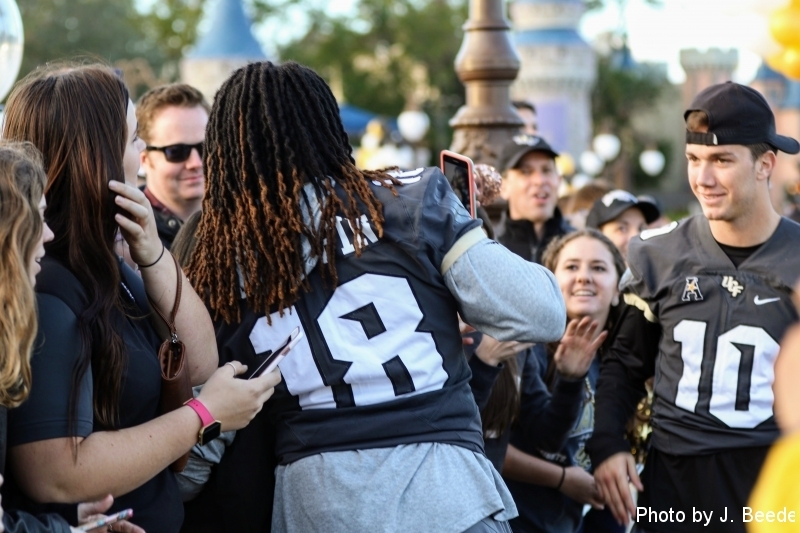 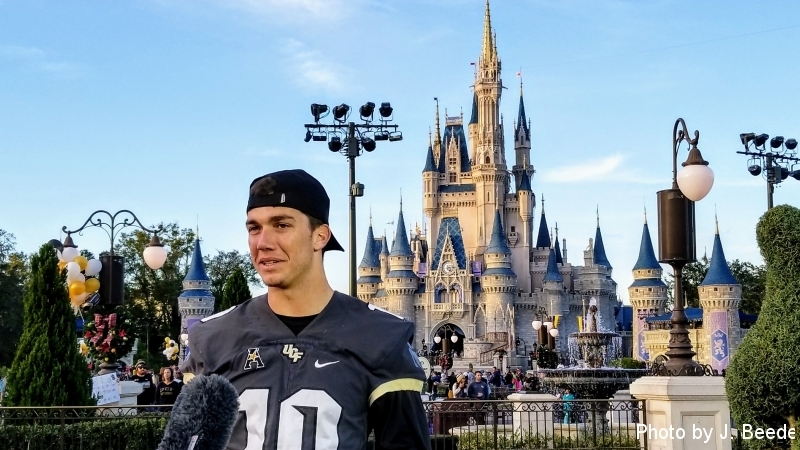 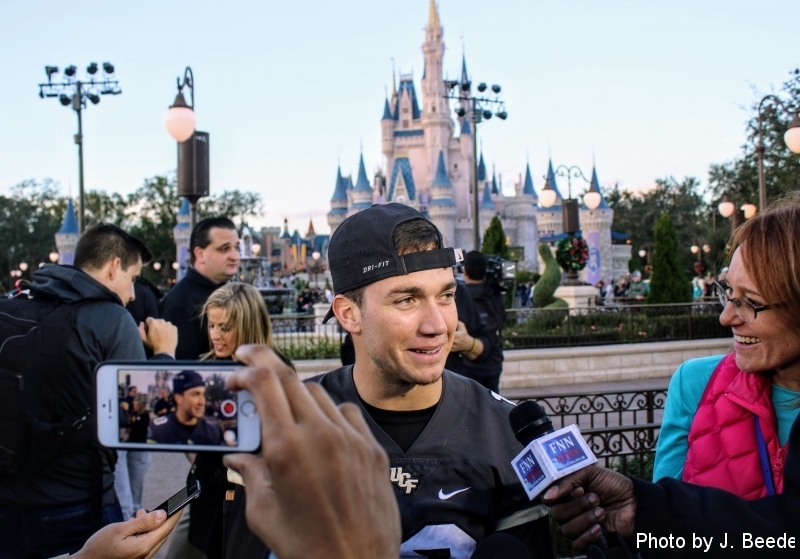 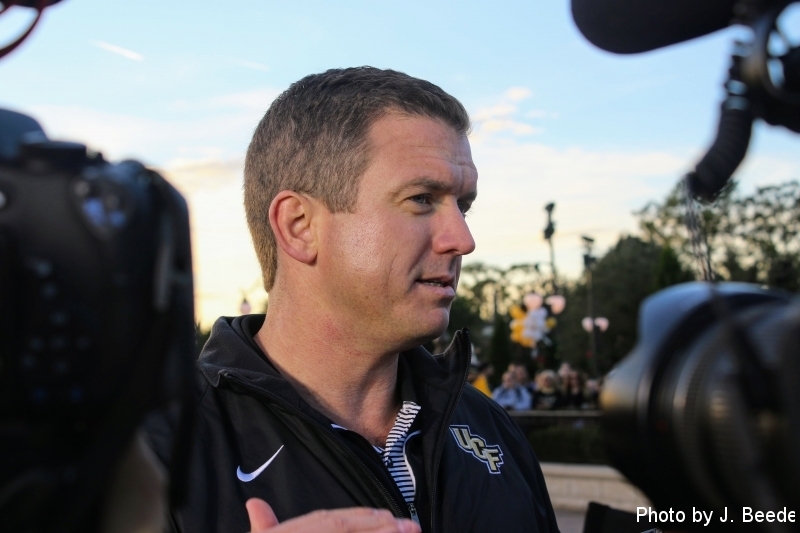 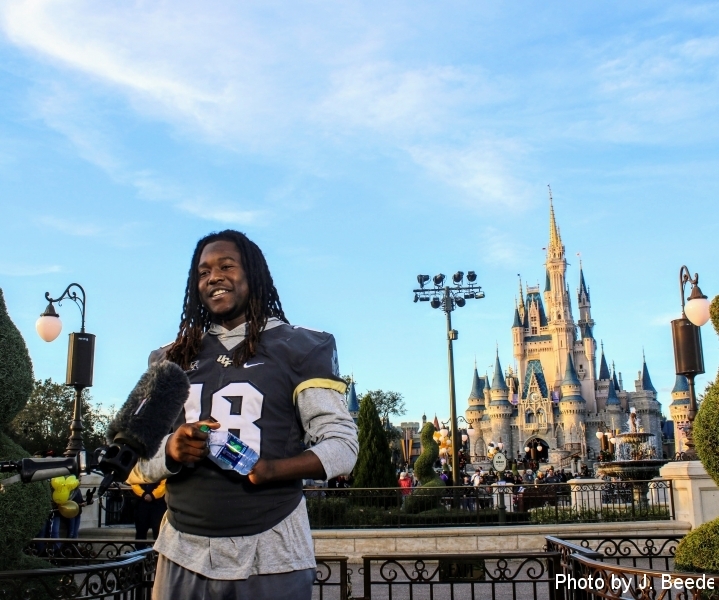 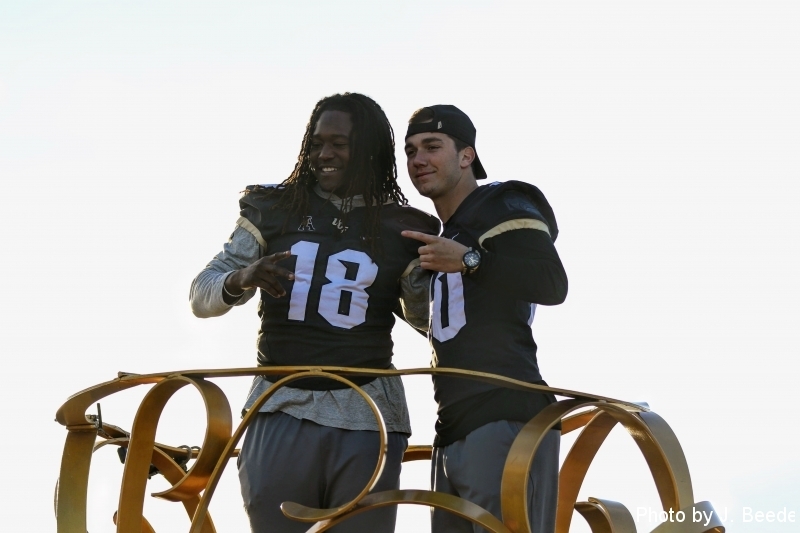 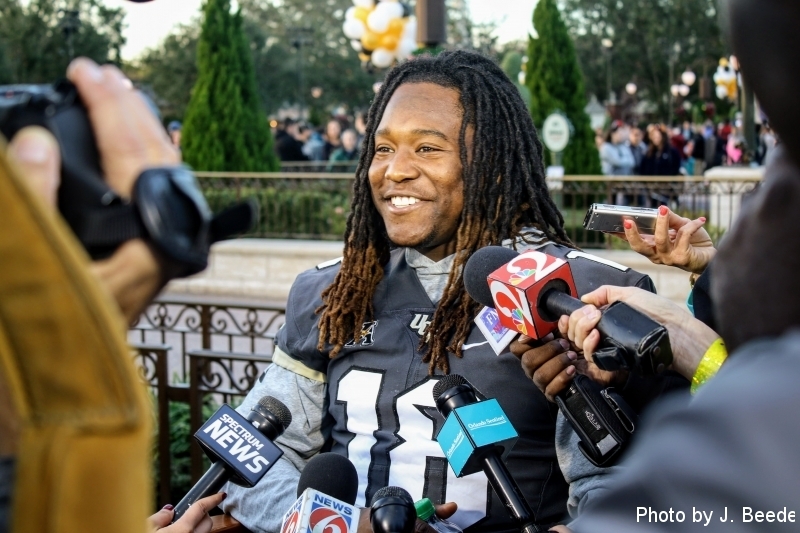 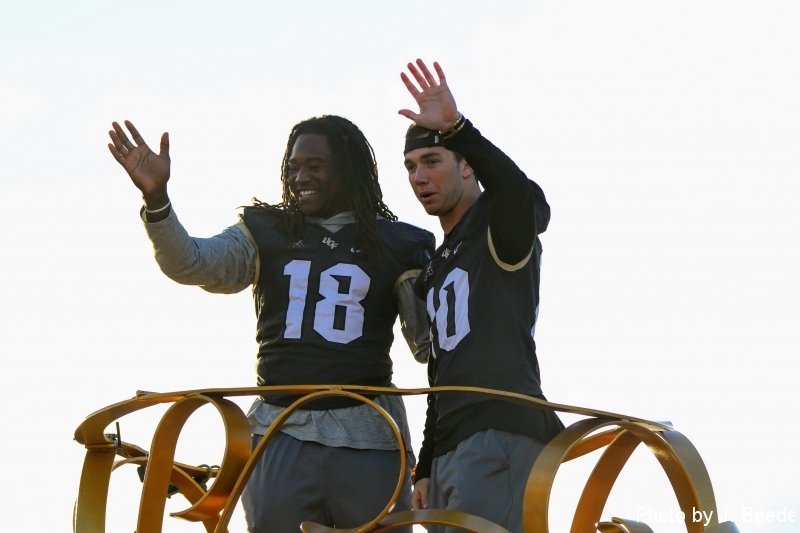 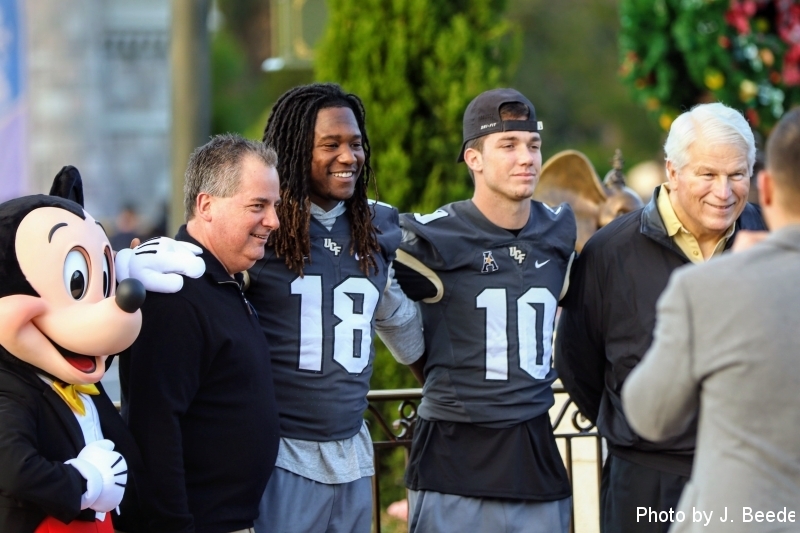 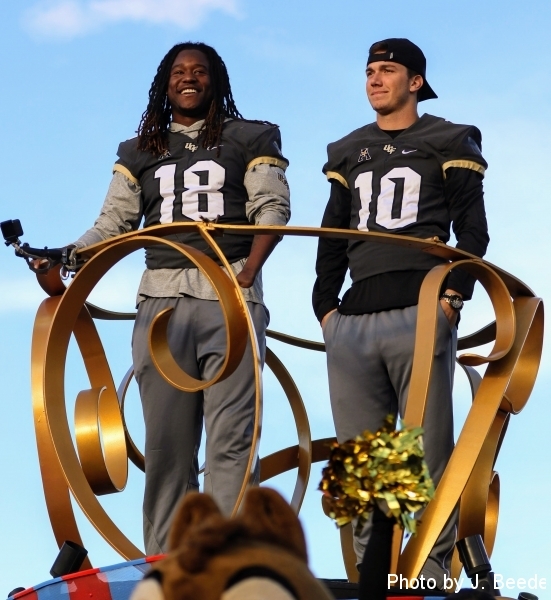 Thousands of fans lined the streets as the University of Central Florida President John C. Hitt and Athletic Director Danny White rode with Mickey Mouse himself in a Disney-themed car, while Offensive MVP McKenzie Milton and Defensive MVP Shaquem Griffin rode up above in a large float. 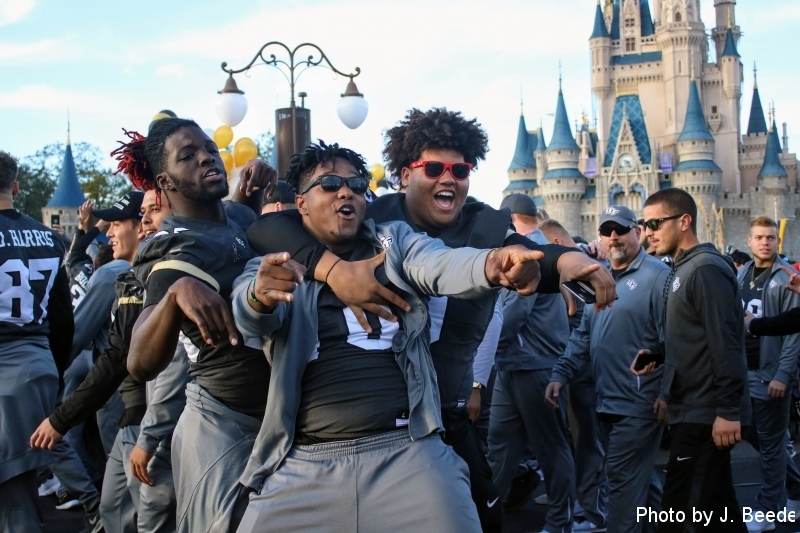 One week later, UCF is still in the national spotlight after their self-proclaimed national championship. 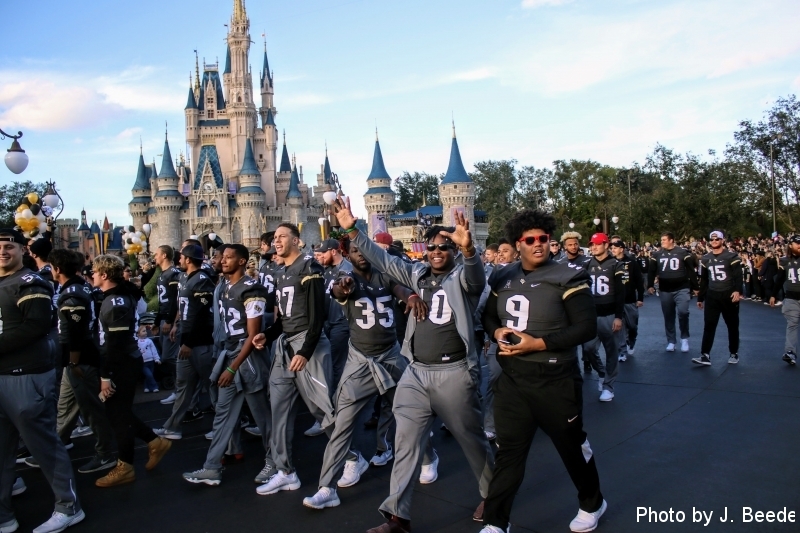 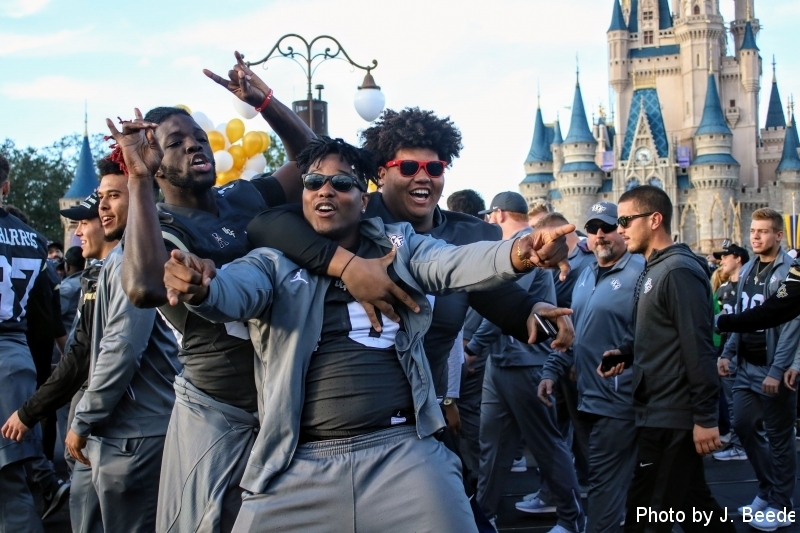 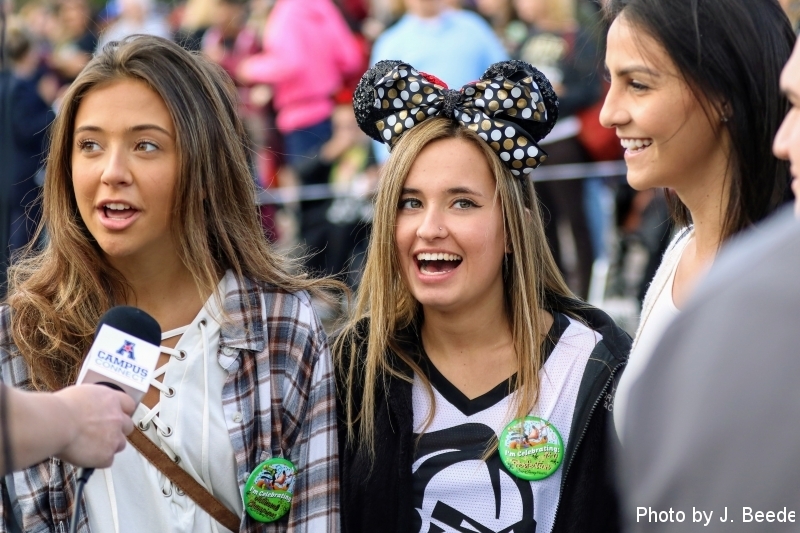 It was a magical ending as the Knights capped off their undefeated season over Auburn, 34-27 and celebrated in the happiest place on Earth, Disney.